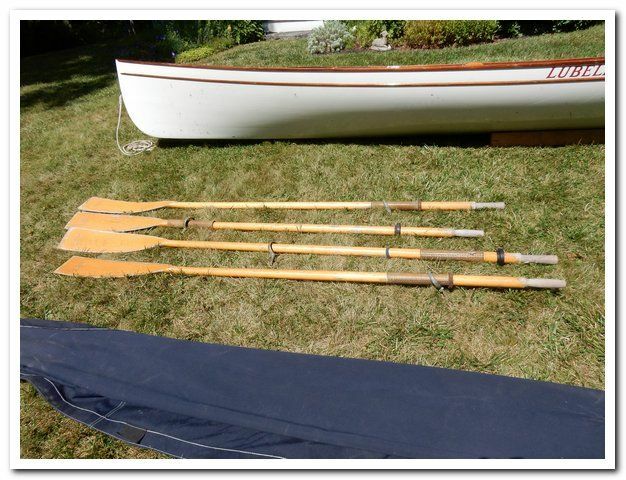 Beautiful wooden boat with four oars for the two rowing stations, removable sculling frame and custom canvas cover. 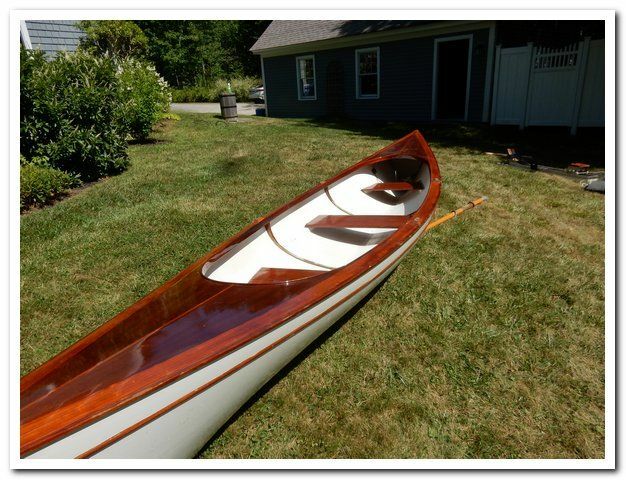 Handcrafted in Maine, this skiff is the the kind used by fishing guides on the St. Lawrence River. 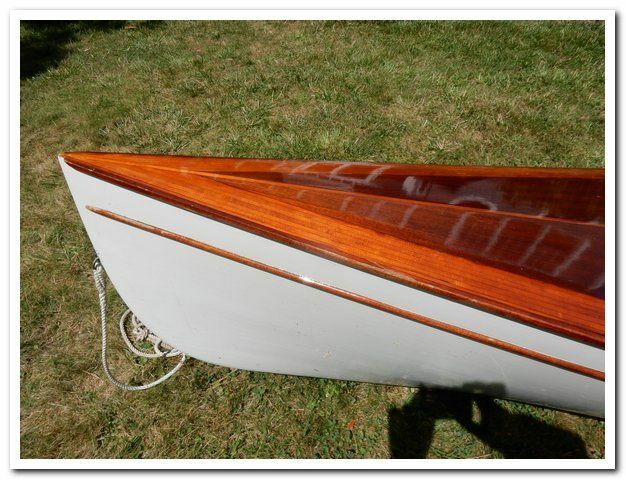 One of four made from one mold, although slightly altered with larger decks, which gives it its exceptional grace. 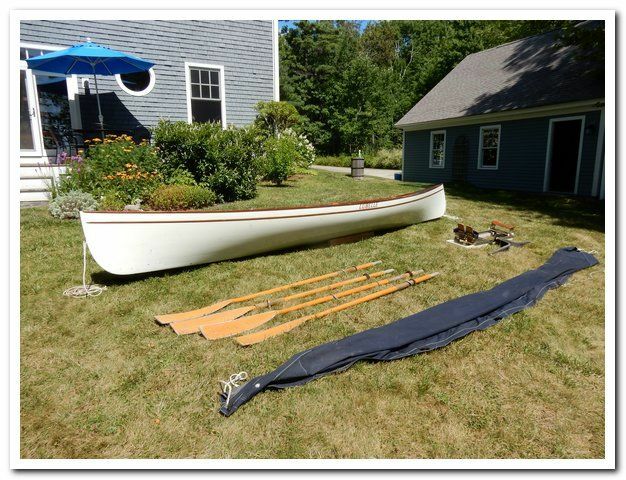 It is made of strip-plank cedar, covered with epoxy and fiberglass cloth, with a built-in rocker to add to its stability. Very good condition, small bubble on brightwork. Kept indoors 11 months/year. Buyer picks up.